By its very nature, infrared measures surface temperature, but most material properties of interest relate to internal (bulk) temperatures. For many materials, such as metals, the gradient between the surface and internal temperatures is small enough to ignore. For other materials, such as rubber products, the gradient can be quite large when the material is exposed to an ambient temperature that is much different from its bulk temperature. 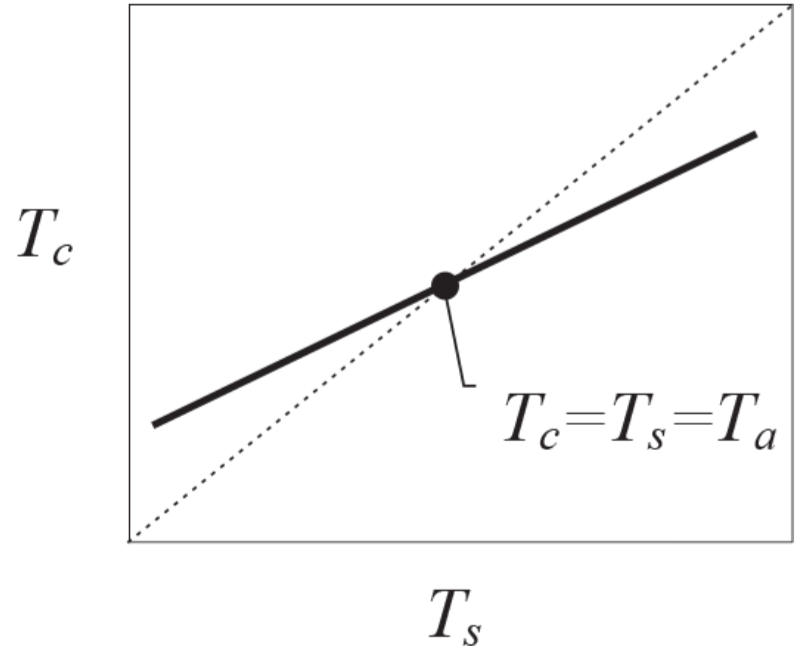 This problem is particularly acute in the manufacture and testing of tires, since surface temperature may not be a reliable indication of internal tread temperature, which is the property of interest, due to the action of rapid convection and radiation at the surface, and slow conduction internally. 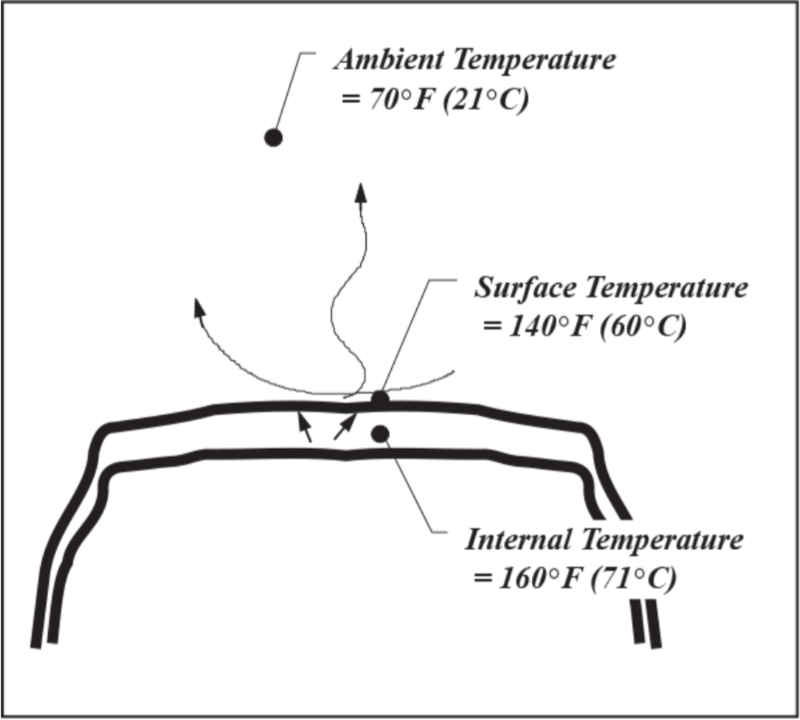 The IRt/c Heat Balance Series Infrared Thermocouples actually calculate the internal temperature by solving the equation that describes the heat balance between internal, surface, and ambient temperatures, and produce an unpowered thermocouple signal that represents the internal temperature! This breakthrough method was first developed and patented by Exergen Corporation for use in the medical field to solve the problem of obtaining human core body temperature noninvasively, and is in use in literally hundreds of thousands of clinical infrared thermometers. The application to tire temperature measurement is the first industrial application of the method. 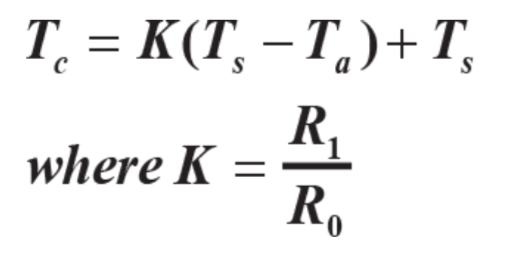 The Heat Balance Equation is continuously solved by the IRt/c, and produces a thermocouple millivolt signal that represents Tc. For the IRt/c.5HBT-J-80, the signal is a type J, and the K is programmed to calculate temperature approximately 1/4” (6 mm) deep. All of the other outstanding characteristics of the IRt/c, including unpowered simplicity, rugged hermetically sealed system, intrinsic safety, and compatibility with standard thermocouple interfaces with PLC’s, computers, controllers, etc., makes the Heat Balance Series an outstanding selection for the measurement of tire temperature, and the improved performance made possible by accurate measurements. - Install the IRt/c in the location it will be used. - Wire IRt/c to readout device. - Place tire to be measured in normal location. Tire temperature must be significantly different from ambient for the calibration to be accurate. - Measure internal temperature with insertion probe. - Adjust readout device OFFSET, or ZERO until IRt/c reading agrees with probe. The new technology embodied in the IRt/c Heat Balance Series can be used in other applications where internal bulk temperature is required.